The flame of a rose: nalu. It's a mini comic i did, based on a part of a fanfiction that I loooove!!!. HD Wallpaper and background images in the fairy tail club tagged: fairy tail lucy natsu nalu comic love couple. It's a mini comic i did, based on a part of a fanfiction that I loooove!!! 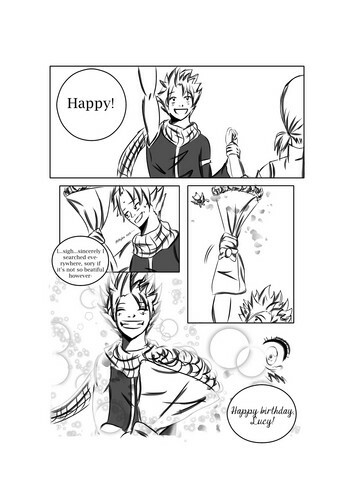 This fairy tail fan art contains anime, komik, manga, and kartun. There might also be koran, kertas, majalah, tabloid, kain, and rag. HIRO MASHIMA PLANNING ON NEW komik jepang SERIES....!!! !